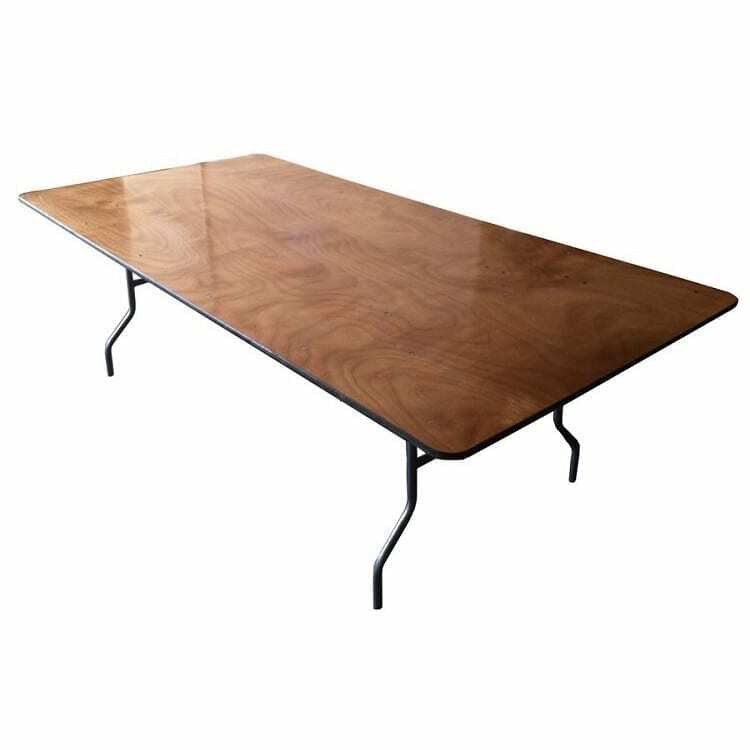 8 Ft x 4 Ft King Tables have an extra large 48″ width and a wood top. This table rental is often used as a dining table and is known as a family style table. This table seats 4 guests at each side and 2 guest at each end. The extra wide with has the look and feel of a dining room table and allows for extra decorations or family style food service. We also rent Farm Tables for a premium look.